Our 101 course is designed to give you confidence and teach you the basics you need to get out on the water with your mates. We focus on the fundamentals that you’ll need as building blocks as your progress your packrafting. 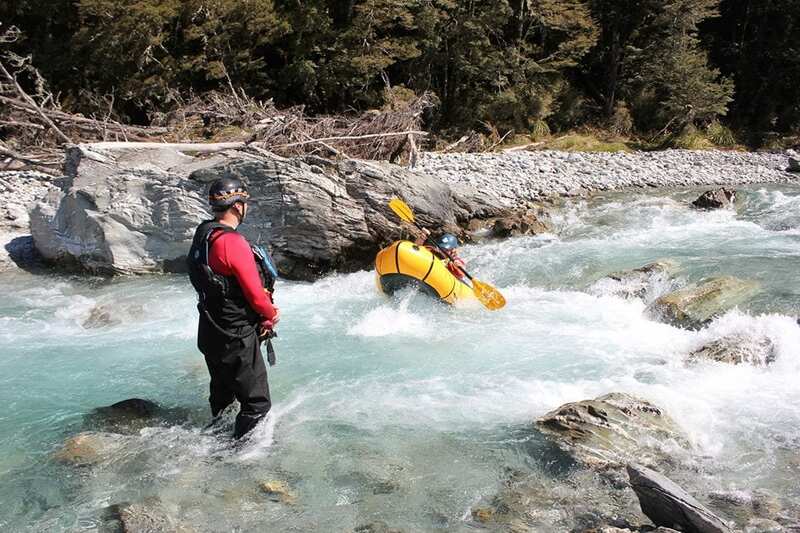 We select appropriate sections of rivers in and around Queenstown and create a safe and controlled environment to practice and learn. Whilst you will be learning some theory, this will be taught out in the field and you’ll have the opportunity to put the theory into practice straight away. This course focuses on your personal paddling on the river and should be viewed as an “on-ramp” to our more comprehensive Recreational River Safety (RRS) course. We aim to run the 101 course the weekend before the expedition style RRS course so the they can nicely dovetail together, however if you’d like to organise a course on specific dates, please don’ hesitate to drop us a line. This course will include some river swimming so you will need to be a confident swimmer with a reasonable level of fitness. We strongly recommend using as much as your own gear as possible to get used to it but we can provide the gear for you if it’s easier. Included in this price is all the equipment you’ll need, however, we would strongly recommend bringing as much of your own gear as you can in order to familiarise yourself with the kit you are likely to end up using. 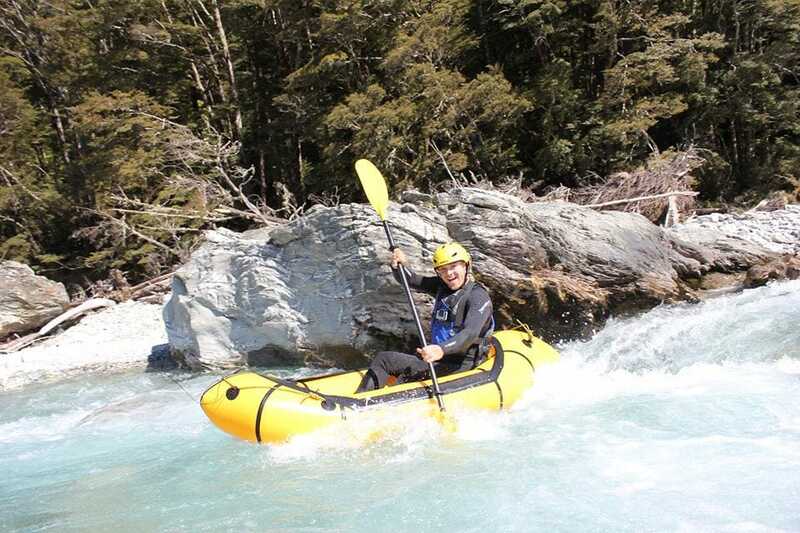 Upon completion of this course, you will also qualify for discounted rental gear from Packrafting Queenstown. Excellent days adventure for beginner and experienced alike. Huw was a great guide who kept the day interesting with stories, tips, instruction and local history. First time in a pack raft and had no problems navigating the river. Very stable and manovorable. The supplied chicken and salad rolls were the best I’ve had for ages. Great day out, and for the price, was easily the best value deal I had while in NZ. If your after a days adventure, with good company, food, scenery and great fun, definitely do this.